Hello and thanks for checking out my site on Model Slot Cars and Model Trains. I am a slot car and model train enthusiast and made this site to share my knowledge with all of you. 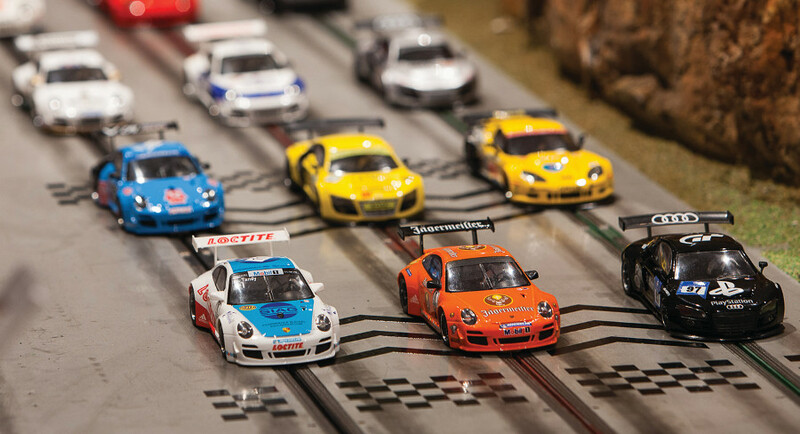 One of the more interesting hobbies around, slot car racing has been dazzling fans for decades. Back in the day, you could only race on two slots but with the advent of digital slot cars one can race as much as 6 cars. Here are some of the most popular slot car models today. The movie “Cars” has seen its share of slot car iterations and there is no doubt that Disney has struck another homerun when they decide to market these popular characters into the slot car genre. 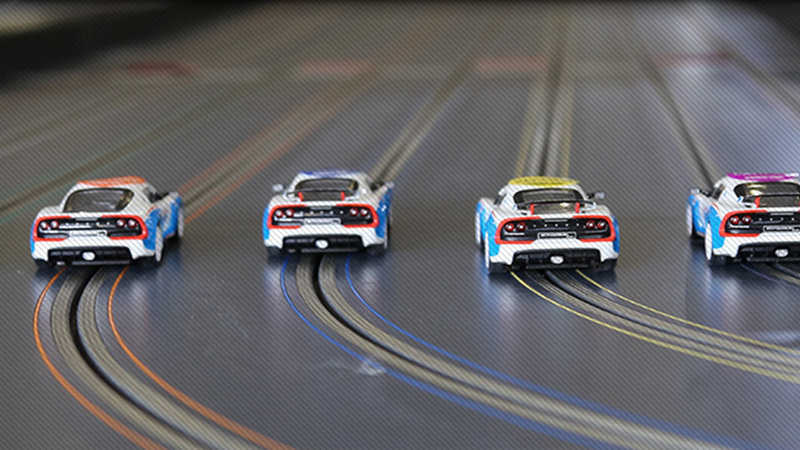 Similar to your conventional slot car sets, the Carrera GO is the kind of set you want to begin your slot car hobby with. This set is composed of two metallic car tracks along with two speed controllers and the iconic Lightning McQueen and Bernoulli. What is exciting about this set is it has some high bank curves including a narrow area, fly over and loop. Manufactured by one of the most trusted names in the slot car world, there is no doubt that your living room will instantly transform into an exciting and fun place. This set is perfect also for folks just beginning their foray into the slot car world. Made by classic slot car Scalextric, this set is beloved today since its inception in 1956 and with good reason. The set features solid, robust tracks and very tough cars that won’t break easily. If you want something that can take the punishment of daily slot car racing then Scalextric is your choice. This set features two cars and controllers as well as a lap counter. If you want a step up from the usual, the Carrera Go –Ferrari GT Experience is your ticket to unparalleled slot car racing excitement. 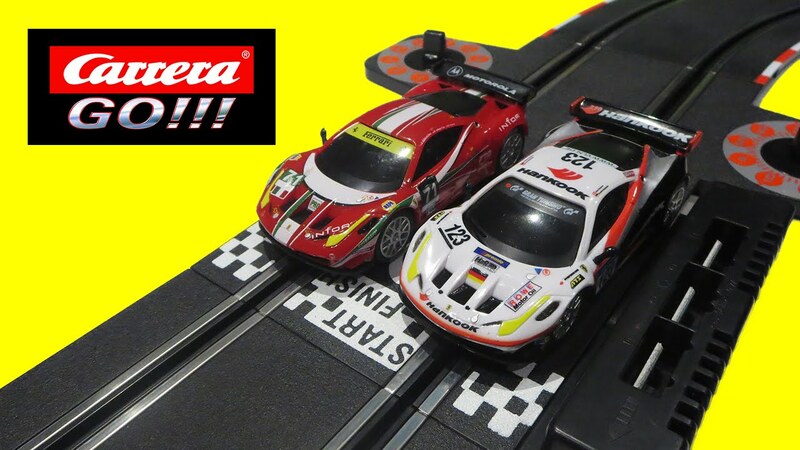 Carrera is known worldwide as a high quality maker of innovative and high performance slot car machines and the Ferrari GT Experience is one of the most sought after sets for beginner and veteran players alike. Stop thinking and start playing any of these slot car models today. Having Power Issues with Your Slot Car Set? When it comes to Carrera slot car systems, the controller should immediately respond to any input the player makes and the power should remain constant if there is consistent voltage applied. In the event that the car does not respond in this way or simply hesitates at certain portions of the track then chances are something is definitely wrong with the power circuit to the motor. Here are some troubleshooting steps to solve power fluctuations in your slot car. If this occurs and if only to this one particular car then the issue is most probably associated with the guide braid. Your first step is to ensure that it is clean and can be serviced. Do only use something with a soft thin consistency and then adjust it so that it can make correct contact with the track. The most ideal way to do this is to first darken the room and then drive the Carrera slot car slowly around. If you notice the presence of sparks on one or both the braids then that means it has momentarily lost connection with the power rails. The problem may be with the track and therefore you need to clean it first as necessary. You then readjust the braids and ensure that the correct rail spacing and height is followed. If cleaning and adjusting the braids does not work your left with one solution, which is to replace the guide shoe. If you notice no sparking present but the car somehow still loses power then check also the contacts on your other slot cars. Be sure to review the eyelets and see if they are installed securely and that all connecting wires and solder joints are ok. While it may not be related to power, another issue you may want to consider as well is intermittent shorting out of the track at one or more possible points. As it shorts, it takes power off and therefore slows the car down. This problem is serious because it can potentially meld the track connections to the point of being unusable. One quick solution is to paint the bottom of the magnets on the car and then run it around the track. You then carefully inspect it for evidence of the paint and then simply raise the magnet. When you are playing with slot cars it can be quite frustrating for the action to stop when it does not function the way it should. Power issues, slowing down at certain points on the track, derailing etc., are common issues encountered by many slot car fans. The good news is that all of these problems can be addressed. Here are some solutions for the most common slot car issues. One of the most common problems seen with slot cars is slowing down and then dragging through tight turns. If this is the case the first step you need to do is to take the car and run it by hand through the affected turn and then see and feel what it does. The most common problem in this scenario is the front wheel dragging through the turn. What you need to do is to lower front wheel friction and you are golden. Another cause of the problem is the rear magnetism may be too much along the center/forward/aft axis that result in the guide to drag because the rear is not allowed to track through the turn correctly. If this is the case, you can lower the central magnetic traction by using a multi-group setup or alternatively you may also move the existing magnet forward just a bit in order to lower the magnet to guide distance. This is another common problem encountered when slot car racing. If the slot car seems to accelerate initially but loses power afterwards what you may be seeing are the effect of the rear tires expanding or vibrating and rubbing the chassis. Sometimes you might hear a “whooshing” noise if this is the case. The solution is to glue the rear tires to the wheels to prevent the expansion and thus correcting the problem. It might be wise at this point to also see if the axle is not busted. Here are some other great maintenance tips for you to watch.